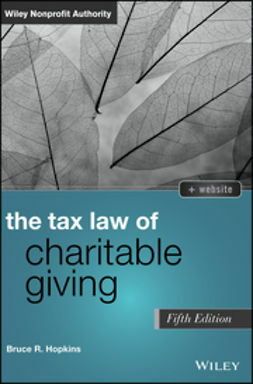 The Law of Fundraising is the definitive reference by the field's most respected authority, and the only book to tackle the increasingly complex maze of federal and state fundraising regulations. 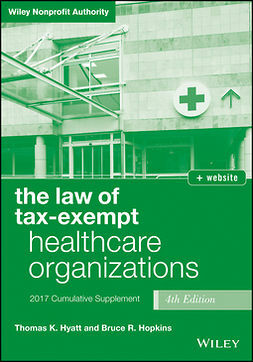 Updated to cover the latest changes to fundraising law for 2017, this book includes new coverage of donor-advised funds, international fundraising, and the IRS's charitable spending initiative alongside updates on Form 990, political fundraising, and more. Both state and federal regulations are covered with an emphasis on administrative, tax, and constitutional law, alongside expert discussion on compliance issues, trends, and upcoming legislation. Accessible language aids in conceptual understanding, while extensive tables of cases, IRS rulings and pronouncements, checklists, and sample forms facilitate correct application. The companion website features additional tables, appendices, IRS guidelines, and other useful documents, providing attorneys, accountants, and nonprofit professionals with a rich toolkit for ensuring compliance. With all topics pertaining to finance under increasing federal scrutiny, laws surrounding fundraising are becoming increasingly difficult to parse. Mistakes can impact the nonprofit's bottom line, so keeping up-to-date is crucial; this book provides a comprehensive reference to the latest developments, along with expert forecasting of what is to come. Fundraising is critical to the nonprofit's ability to carry out their mission, yet the regulatory tangle at both the state and federal level can be a nightmare to navigate. The Law of Fundraising streamlines compliance with the latest legal developments and invaluable tools for application.